I'm a glass artist who etches/carves glass through a sandblasting process. I've been working with glass a long while. There was a time when the kitchen became a studio as soon as I cleared away breakfast. Even now that I have a separate studio, I still end up at the kitchen table at times...Something about being close to the tea kettle I suppose. My career has spanned glass mosaics, stained glass, etched/carved glass, church window repair and teaching. In the past few years I began making Black Onyx pendants using the same etching and carving process. These pendants can be seen on my website. 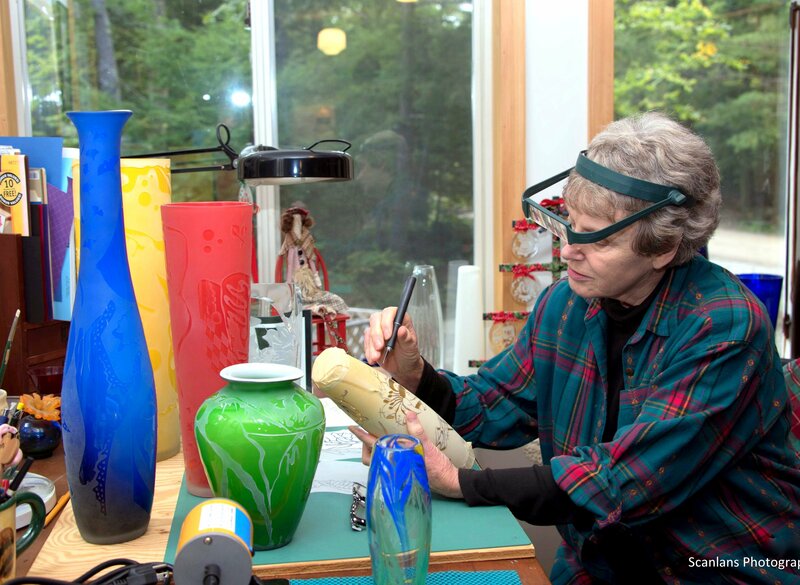 I reside in Washington, NH and you are welcome to visit my studio by appointment. I'll put the kettle on.